14 June 2016. The Global Nutrition Report 2016 was launched at venues around the world, with further events to follow. The only independent and comprehensive annual review of the state of the world’s nutrition, the Global Nutrition Report is a multipartner initiative that holds a mirror up to our successes and failures at meeting intergovernmental nutrition targets. It documents progress on commitments made on the global stage, and it recommends actions to accelerate that progress. The Global Nutrition Report aims to be a beacon, providing examples of change and identifying opportunities for action. This year’s report focuses on the theme of making—and measuring— SMART commitments to nutrition and identifying what it will take to end malnutrition in all its forms by 2030. 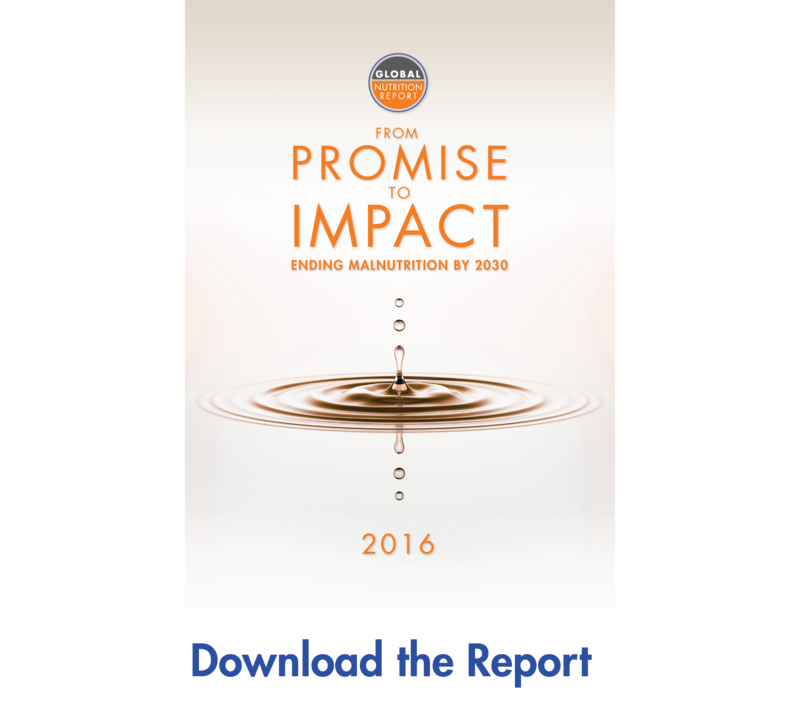 Click here to download the report and the executive summary. Click here for additional resources related to the report, including infographics, press information, and toolkits.